we are there for you. . .
My strength and conditioning coach brought Chuck onto our training team to address my flexibility issues. Chuck performed a functional movement screen, immediately. He identified my poor movement patterns, and began to develop and implement a corrective exercise strategy. Simultaneously, he began performing the Ki-Hara stretching technique along with whole body vibration. I now understand why more and more of my fellow-Olympians are adopting Ki-Hara as their preferred method of flexibility training. In addition to the range of motion I’ve gained, I’ve also improved my quickness. Ki-Hara is also a great recovery tool that has allowed me to bounce back quicker from rigorous workouts. I just wanted to let you know that you have made an impact on my workout routines and my physical wellness as a result. Even after I left NYC, I continued using the foam roll before and after my workouts to stretch my glutes. It is clear to me that this stretch routine diminished the pain I felt in my knees when exercising. This allowed me to finally be able to do the squats and lunges and really tone up the muscle in my legs. The muscle mass helps to stabilize the knee cap which was the source of most of the pain. My doctor has been very impressed with the success and there is no talk of surgery anymore. Better knees have also allowed me to be more resistant during cardio sessions. I am now a regular at spinning classes at my gym whereas before, I used to avoid biking altogether. As a result, I am down 30lbs (!!) and a healthy portion of my body weight is muscle mass. I am so glad that Chuck has placed functional strength training at the core of my workout regime for my overall health. I became an enthusiast while attempting to get back into shape after having my first child. Now in my mid-thirties after three years of hard work, I am in the best shape of my life and feel stronger and more flexible than ever before. Chuck has impressed upon me that good fitness is at the core of one’s health. I am a better and happier mother, hospital administrator, and person because I feel fit. Functional strength training prepares you for exercise activities ranging from a great run to a marathon but more importantly for life’s daily activities – walking down the streets of New York City, lugging groceries, standing on a line, picking up your children, etc. I will be forever grateful to Chuck for helping me get back in shape. I am also thrilled to have learned about resistance stretching. I am a believer! I also have learned how important stretching is to strength training. Winding down from a great work out is an important part of it and enables the body to “receive” the workout and recover from it. One of my personal goals for 2011 was to do an unassisted pull-up – just one, with good form. Mission accomplished. One small feat which I am convinced I am able now to do because of my functional strength. Chuck has been stretching me for the past two years. I have become an addict! After a session with Chuck, I literally feel “taller” and less stressed. I originally started stretching with Chuck to improve my Kung Fu training to increase my range of motion. Since that time, I have realized many more health benefits than expected, including: faster than expected rehabilitation from a severely torn quadriceps, reduced recovery time from intense workouts, and a faster rate of improvement in my performance in martial arts because of the increase in my range of motion. In addition to the martial arts related benefits, I find a session with Chuck relieves cramping from sitting at a desk job for 14-hour days or long intercontinental flights. 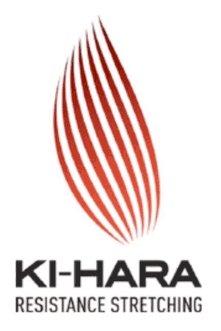 I would recommend Ki-Hara to anyone who wants to see an improvement in range of motion, recovery from injury or intense work-outs, or anyone who spends most of his day sitting at a desk and needs to be stretched. As a Fitness Professional who has been in the industry going on ten years I have seen many “fads” come and go in terms of training modalities. It has been quite awhile since I have been truly inspired by something that has the potential to really impact the quality of life for so many people. As a professional ballet dancer I have found even fewer modalities that have the potential to prevent injury for those who perform physically as such high levels. Ki-Hara resistance stretching, however, immediately caught my eye as something that is here to stay. Ki-Hara resistance stretching fills the gap that can sometimes exist with traditional physical therapy and traditional weight/resistance training. Partner this unique and intelligent training system with Chuck Rowland’s knowledge and experience and you are in for a real treat with the potential to change the way you move!